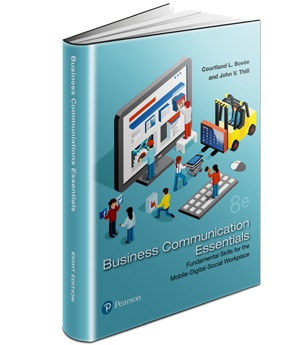 Business Communication Teaching Resources gives you immediate access to the largest collection of materials for the course you will find on the web. "Storytelling is an important part of being human. Stories connect us to each other; they create a bond. We all love to hear stories, but can we tell them?" "Follow this secret advice to better manage your schedule and time." ". . . In this masterful talk, [Richard Greene] explains how the great speakers in history use 7 secrets and how we can all become a great speaker by following these secrets and by not just giving a "speech" but rather creating "conversations" from the heart." "What makes someone a good communicator? There’s no mystery here, not since Aristotle identified the three critical elements — ethos, pathos, and logos. — thousands of years ago." Read the full article by Scott Edinger at HBR.org . 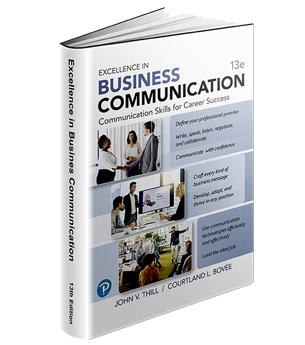 . .
What Do These 2018 Business Communication Trends Mean for You? ". 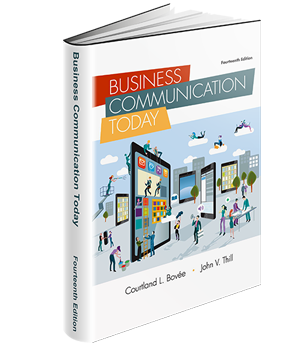 . . there are several trends shaping the business communications landscape. In this post, Videxio shares its take on seven key trends taking place today. Read on to make sure you’re ahead of the competition when it comes to these areas!" According to Liz Ryan (photo, left), "One of the biggest job-search mistakes you can make is to play it safe. The more you look and sound like every other job seeker, the worse your job search experience will be." Explore Bovee and Thill’s photos and illustrations on Flickr! Take a look at Courtland Bovee’s Instagram account with a focus on business communication, such as the custom-designed illustrations above. Real-Time Updates is a proven resource for instructors and students, already with 2 million pageviews.